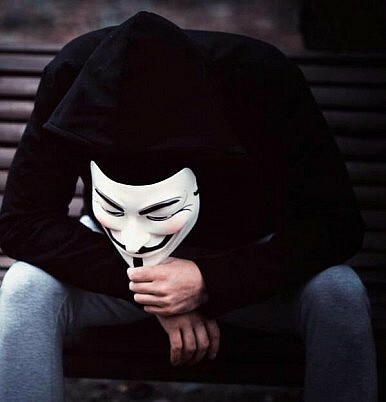 Members of the worldwide hacktivist collective also face fines and jail time. Six members of Anonymous face hefty fines, jail and in some cases a possible caning after being arrested and charged in Singapore for defacing websites, including one linked to Prime Minister Lee Hsien Loong, and spray-painting graffiti identifying the international hacking and protest group. Among them is James Raj, a 35-year-old who allegedly posted a Guy Fawkes mask, symbol of the group, on the Ang Mo Kio district website late last month. Websites belonging to the prime minister’s office were also hacked following threats of a crackdown by the authorities and Lee. Raj, who uses “The Messiah” as his call sign, apparently carried out the attack from neighboring Malaysia. He faces up to three years in jail and a fine of $8,000. “You may think you’re anonymous – we will make the extra effort to find out who you are,” Lee had warned. Ang Mo Kio is a town council whose team of parliamentary members is led by Lee. Another five men have been charged with vandalism after spraying painting Anonymous slogans and face a fine of up to $2,000, three years in jail and could receive between three and eight strokes of the cane. Anonymous had been stepping up its attacks in Asia as part of the November 5 Million Mask March designed to coincide with Guy Fawkes Day. It was staged in more than 400 cities around the world to protest a range of causes including corruption, bad government, corporate greed and the environment. After declaring a cyberwar on the Philippines, Singapore and Indonesia, one Anonymous member summed it up as: "Remember who your enemies are: billionaires who own banks and corporations who corrupt politicians who enslave the people in injustice." Anonymous Philippines claims it infiltrated 115 government website ahead of the demonstrations while the website belonging to the Extraordinary Chambers for the Courts in Cambodia – where surviving leaders of the Khmer Rouge are currently on trial – reportedly crashed amid claims the courts were being used to silence Pol Pot’s victims. Further website attacks were made in Malaysia and Indonesia. Widespread hacking of Australian websites has also been attributed to Anonymous Indonesia in response to claims by former CIA employee Edward Snowden that Australia had helped the U.S. spy on Indonesia and elsewhere. Members of Anonymous in the region had hoped to spark an “Asian Autumn” but the movement has yet to inspire broader support for its causes.